The terror saga surrounding Pinhead and his nefarious band of Cenobites continues in Hellraiser: Judgment with more puzzle boxes, hapless victims, and, of course, a few trips to 55 Ludovico Place. This time, there's a serial slayer on the loose in the earthly realm, doling out justice for various violations of the Ten Commandments as some sort of sick scheme to win God's favor. Meanwhile, Pinhead and his pals have been doling out some of their own justice in Hell — and when the two worlds collide, well, there's you-know-what to pay. Let's take a look at how the story draws everything together and sets up the next round of hellraising, shall we? 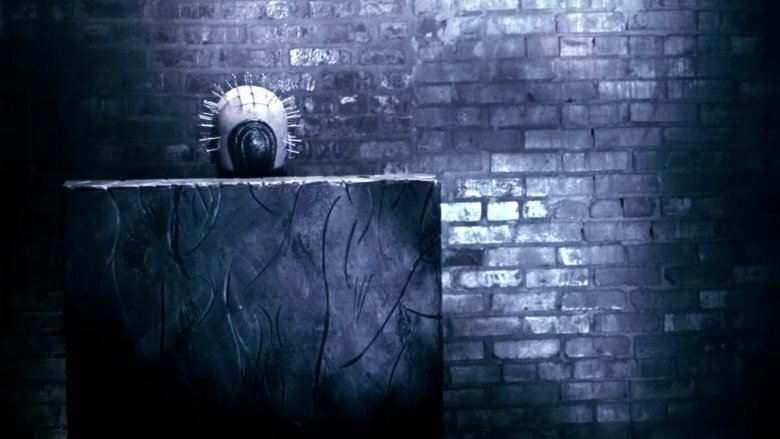 Here's the ending of Hellraiser: Judgment explained. 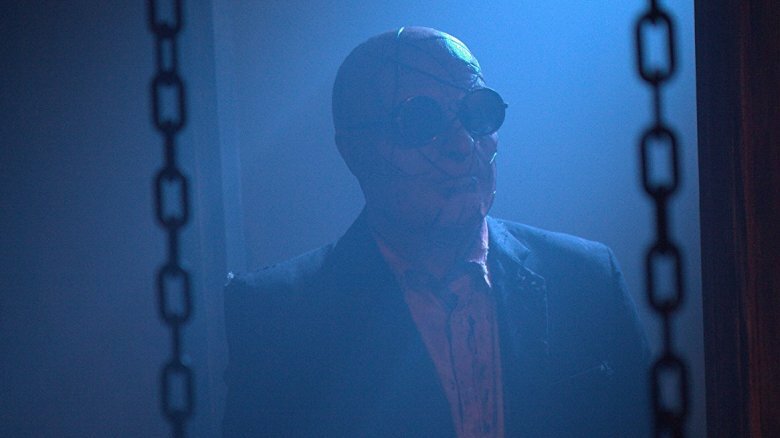 Pinhead (Paul T. Taylor)'s right-hand man — er, thing — and the most interesting addition to the saga in Hellraiser: Judgment is the Auditor (played by none other than the film's own writer-director, Gary J. Tunnicliffe), who begins the so-called "process" of eternal judgment on Pinheads behalf. Naturally, this is all very gross for everyone involved. After the Auditor types up a human's confession, another sidekick called the Assessor (John Gulager) chows down on the pages and regurgitates them up for a trio of jurors, who rifle through the contents and then render their verdict. At first, we're led to believe that Detective Sean Carter (Damon Carney) is just a man who's way into his job of hunting down serial killers. He comes home late to his angry wife, can't seem to stay away from work, and is even being investigated by the case's newest pair of eyes, Detective Christine Edgerton (Alexandra Harris), who believes he might be suffering PTSD from his war service and/or dabbling in drugs or alcohol. His brother David (Randy Wayne), who just so happens to be his partner in crimefighting, thinks he's a rational, good-hearted human being and gladly follows him down whatever rabbit hole his investigatory prowess takes them into while solving their case. By the end of the film, however, we find out that looks have been very deceiving when it comes to Sean. He's actually the one who's taken on the mantle of righteous death-dealer, slaughtering people who run afoul of the Ten Commandments in pretty much any way, shape, or form. He saws off the hands, eyeballs, and teeth of some teens while they're still alive simply because they'd committed petty theft; he surgically implants a woman's womb with her still-living dog because she says in a phone video that she worships the animal. His crimes are so terrible that even the Assessor can't stomach the taste of his confessions, but he manages to escape Judgment — twice — because of a demand from on high. 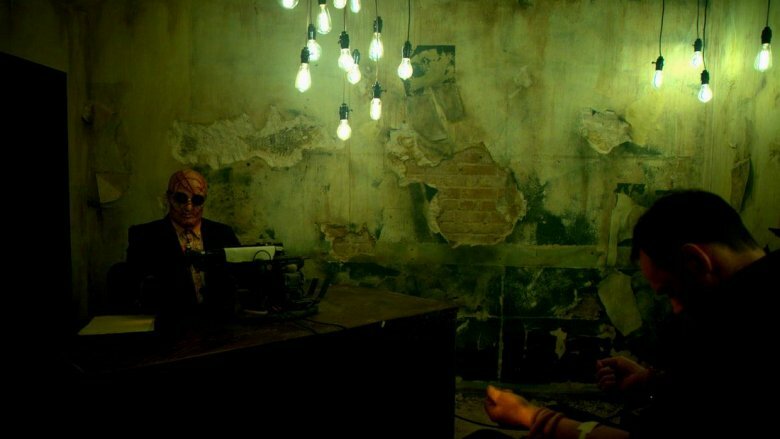 Although it seems like Pinhead holds the ultimate authority over how the guilty are (mis-)treated in his domain, when the angel Jophiel (Helena Grace Donald) shows up and insists that David be sent back to Earth to finish his "work" — which, at first, we think is just solid policing — Pinhead has no choice but to concede. After all, she's only there in service of her boss, whom we have to assume is God. Pinhead still sends his stitch twins along to haunt his nightmares, but he mostly steers clear of Sean. After Sean brings himself back to Pinhead's realm again, though, in hopes of trading his brother and wife for his own clean soul, Pinhead and his Auditor refuse to bargain with him or Jophiel. They're ready to move on to the punishment phase … and chaining Sean's brother and wife up to a state of eternal suffering won't satisfy their bloodlust. Jophiel wants him to be sent back to Earth to carry on with his Commandment killings because if he's slaughtering a few lambs on the surface, that means more people will turn to the Almighty for protection. This makes Sean believe his plan is falling into place, but Jophiel informs him that he's not getting any absolution out of this arrangement; he'll still be Pinhead's property after it's all said and done, but she just wants to buy him more time for his bad deeding. The trouble is, Pinhead's grown wary of blindly obeying Jophiel's demands — consequences be damned. At first, Pinhead obliges Jophiel's request to return Sean to the living so he can score the good side some souls, but when Sean regains consciousness, he's immediately waxed by Detective Edgerton, who awakens after being knocked out by Sean during his dramatic reveal about secretly being the big bad they've all been looking for. Sean's instant demise puts him back in Pinhead's clutches — and angers Jophiel, who threatens to bring down the wrath of her boss for his insolence. Pinhead decides he's got nothing to lose, so he has nothing to fear from her. He's already in Hell and was basically built to endure such suffering, so how much worse could it get for him? Not only does he ignore her warnings, Pinhead also proceeds to throw the angel into his chains and lets them rip her to shreds. Even the Auditor knows his boss has made a massive mistake. As he points out, Jophiel was the angel who banished humans from the Garden of Eden, and if she could do it to them, she could do something similar to Pinhead. Just as all those he's judged have awoken to the harsh consequences of their mistakes, the last scene finds a humanized version of Pinhead banished from his realm of "sweet suffering" and sent to the mortal realm. 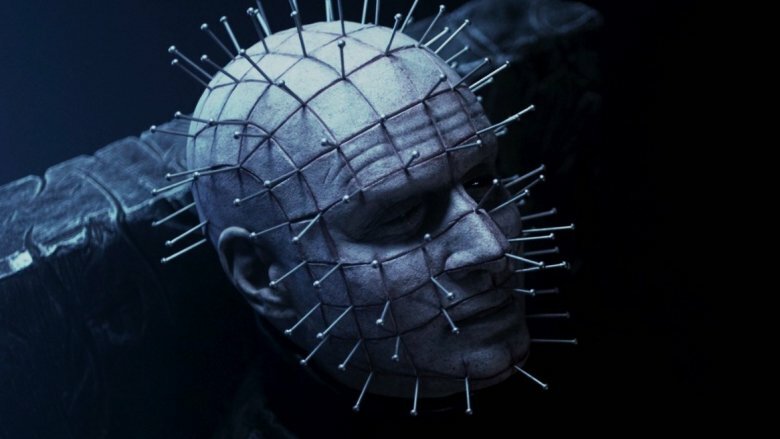 With that, Pinhead as we've known him for 10 films (and counting) appears to be forever changed for his decision to test God — which means we can probably count on his next adventure involving him trying to regain his status in the underworld. On the other hand, the post-credits scene opens up the door for the Auditor to take over altogether, as he's shown in Hanover, Germany, welcoming two unsuspecting missionaries into his lethal lair.